Margaret Morse Nice made patience look like far more than mere virtue. She made it look like an extreme sport, or a fine art. And she did it all in the name of one of her greatest passions: studying birds. Her observations about the musicality of the song sparrows are, on their own, astonishing. After exhaustive observation and analysis, she found that each song sparrow itself had its own unique repertoire of songs — some birds had a large library of music, others carried with them a much smaller one. Nice not only learned the sounds of each song, but what they meant. In this way, she was able to understand the birds and know what they were doing simply by listening from inside her house. All of this made her even more curious about the songs of the song sparrow: how many times in a day did they sing? From dawn until dusk one day, she sat outside and counted the songs of a sparrow she named 4M. To ensure she didn’t miss a single song, she had her family bring her meals. By the time night had fallen, 4M had sung 2,305 times. Nice’s scientific observations of bird behavior are vivid and artful; her notes read like poetry. 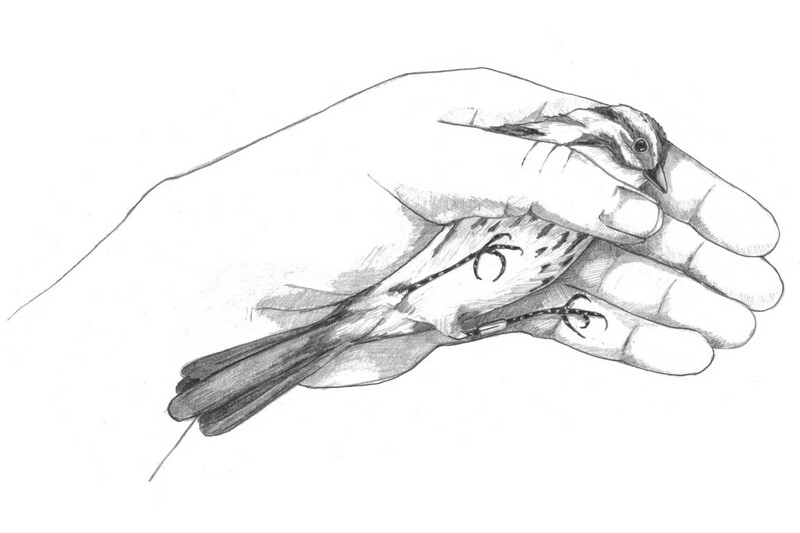 She also banded over 100 birds in a single season, allowing scientists to better study their movements and behaviors. For all of this, she is not only acknowledged as a highly important ornithologist, but she is also rightly recognized as a founder of ethology: the study of animal behavior.